Well, that's the first thing on the agenda. . . .right? Hard to believe that Christmas is over and we are into a new year. Haven't been in the stores lately, but I would almost bet you that the Valentines candy is out and the swim suits are hanging in place of the sweaters and winter coats. Am I right? I'd venture to guess that I am. BRRRR. No bathing suit for me just yet. I just want to make it through the winter without freezing my toes off. UGH! Come on spring. And yes, I'll be saying that until it arrives! I'm hoping that each of you had a blessed and wonderful Christmas and a Fabulous New Years Eve/Day! I'm certainly ready for what 2013 will be bringing my way. I can't wait! So glad that you all had two weeks to play around and share your photos. ALL of them were fabulous. Thanks for taking the time to play along! 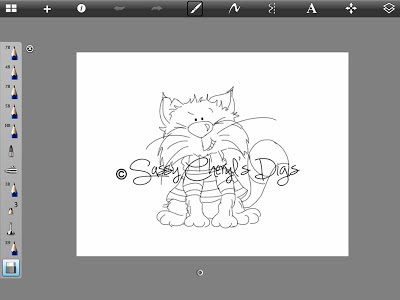 Since we this was a two week SMT challenge the winner will receive TWO FREE images from the Sassy Cheryl's Digis shop. And who was that lucky winner this week? That was none other than. 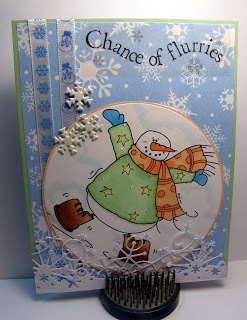 . .
Did you all have a chance to check out the post and read about her GORGEOUS CARD! Carolyn, I'll get your account credited this morning. Have fun shopping. Now, as most of you know, back in October, I added a new member to my family. A sweet and very sassy and mischievous cat, Bandit! He is the sweetest thing. . . .and he certainly loves Bella, but boy, does he give her 'what-fore'! Jumping on her head and then running away. He's a card and I laugh just about EVERY day at something that they do. They are partners in crime too. . .getting into all kinds of trouble. This is the day that I brought him home. Super cute! Who wouldn't fall in love with that face!!! And here are Bella and Bandit tearing up my Rubbermaid box that I was going to take out to the recycling bin. Didn't take it out quite soon enough. 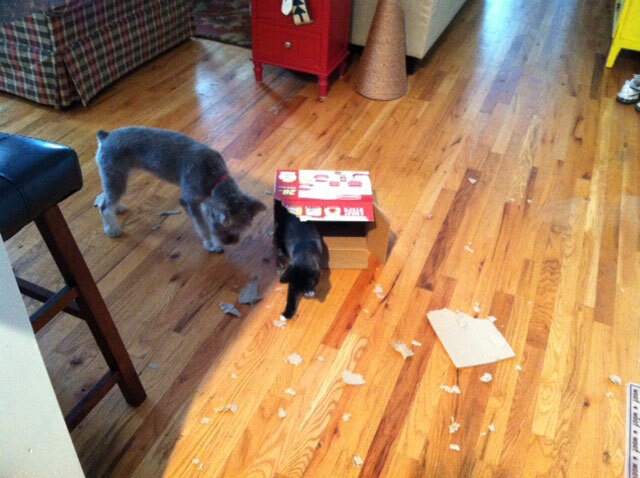 Came out of the office and found Bella chewing off pieces of the cardboard and Bandit, playing with them. Yep . . . .they had a little tag team action going on that day! It doesn't matter. We just want to see! So give us a 'look see'! You'll have until 5 PM EST, Wednesday, January 9th to get your photo or blog linked up to be entered in the random drawing for the FREE image from the Sassy Cheryl's Digis shop! We can't wait to see. . . . HAPPY 1st week of 2013! Hi Sassy beautiful card, those little kitties are little monkeys, he he. Cheryl, I grin every time I see those two partners in crime together. Love the new image, and he's going to be a huge success. Oh My Gosh! we get a resident Sassy Kitty! I am is 7th heaven!!! 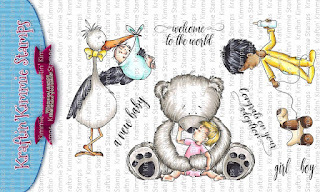 congrats also to Carolyn on here win... your card is fantastic! Congrats Carolyn and happy shopping! 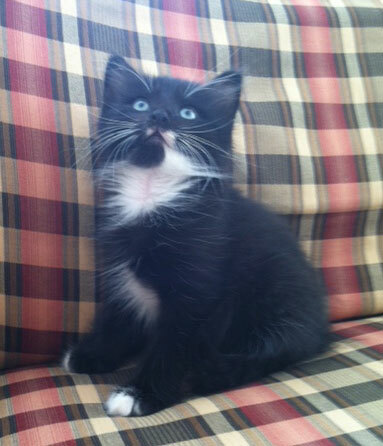 Your new kitten image looks very mischievous -- somewhat like little Bandit! It sounds like they keep you on your toes - but what a great team! What fun! 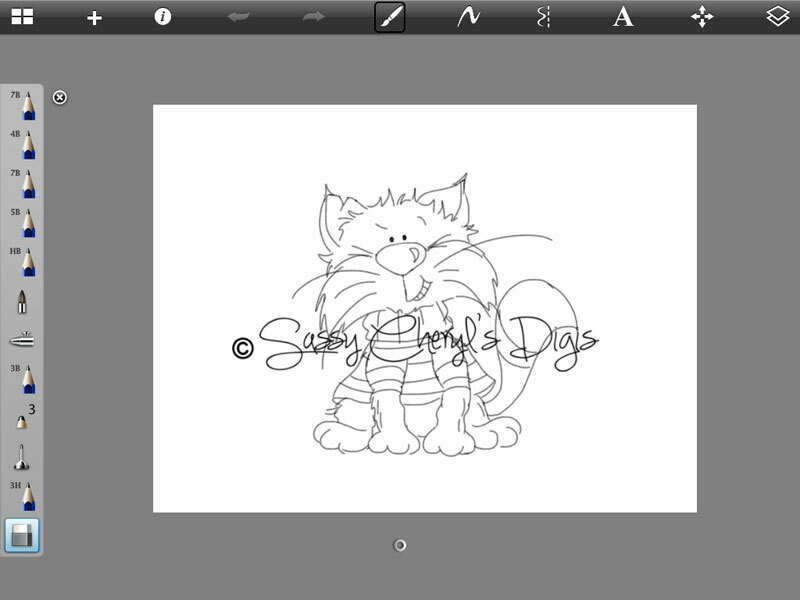 Love the idea of a kitten Bandit image - will be so cute, especially if you draw them "working" together in their adventures! I see that you do have a Bandit the Bunny image. 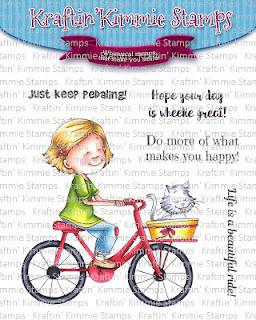 :<)Wishing you a happy day today!